Every other picture I’ve seen the pipe isn’t that close to the air con pipe! How will I secure the maf inside the air box? It is pushed all the way down to the solenoid mate. The ones I’ve seen done before usually have a small bit of pipe between airbox and maf? 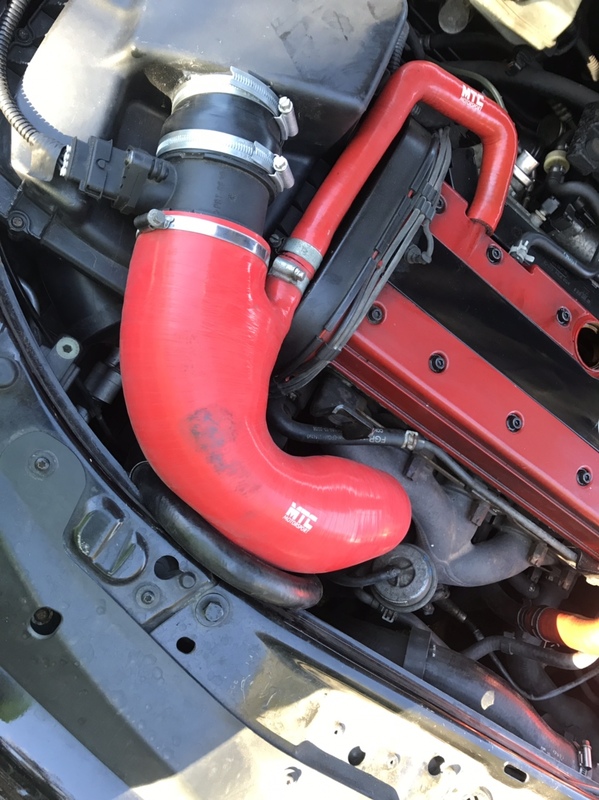 When i got my cdti airbox the maf was to big to fit in so i sanded it down to make it bigger, squeezed the maf in and its been in place ever since, bout 3 years now! I'd hazard a guess that direct route pipe is more likely designed to fit onto a cone. Be better off buying a full cdti kit with hoses designed for it. I had the original percy one so fitting was spot on. Bloody hell. Going to have to fit my cone again which I really don’t want to. You can just see the whole thing is squished down including the left side of the breather pipe bending further down than it should. There's too much mass up top (I.e the airbox). I would say you may be able to do some creative trimming of the silicone but where the trimming would most be needed is where the pipe joins the maf and the location of the breather join by the looks of it doesn't give much trimming manoeuvring room. Reason I ask is looking at that join (maf to airbox) it looks like a reduction in size as it enters the box itself. Which would totally screw up airflow and power.